UK Parliamentarian Ian Paisley’s two luxury holidays to Sri Lanka in 2013, for which the Sri Lankan Government spent Rs 13 million, are connected to a business deal of former MP Sajin Vass Gunawardena, JVP MP Bimal Rathnayake revealed in Parliament yesterday. The MP, moving an Adjournment Motion, brought out that the real intention behind sponsoring UK Parliamentarian Ian Paisley’s visits was to negotiate a “lucrative oil purchase deal” with a Nigerian company for former MP Sajin Vass Gunawardena. The former MP was widely known to be the Monitoring MP of the External Affairs Ministry, under the previous administration. MP Rathnayake, quoting a series of email communications between Paisley and former MP Gunawardena as well as a Foreign Ministry official known as “Majintha,” pointed out that the former MP had used Paisley as a negotiator for his business deal. He further pointed out that the UK Parliamentarian had visited Nigeria for the above purpose with the funds sponsored by the Foreign Ministry. “His visits clearly had nothing to do with image building of Sri Lanka, while he had made no such contribution,” he added. MP Rathnayake further pointed out that UK Parliamentarian Paisley in his two visits to Sri Lanka from March 30 - April 5, 2013 and from July 1-11, 2013, had not met any of the responsible office holders. “He had not met the President, the Prime Minister, Opposition Leader, the Speaker, Foreign Minister or the British High Commissioner in Sri Lanka. He had simply gone to see the elephants in Pinnawala in a helicopter. In his first tour, in which he accompanied his wife and four children, he had spent three nights in Passikudah and one night each at Hilton and Galle Fortress. The Government had spent a total of Rs 7 million for that tour. On the second tour, in which he accompanied his wife and two children, he had spent two nights in Kandalama, one night at Earl’s Regency and five nights at Ahungalle Heritance. 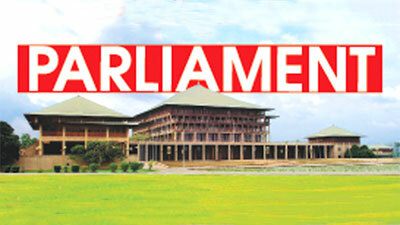 The Government had spent a total of Rs 6 million for that tour,” MP Rathnayake elaborated. He said the itinerary and invitation for the second tour had been sent by Paisley himself to the Foreign Ministry. “These tours had been approved by the then External Affairs Minister Prof. G L Peiris. If the Government could not provide any proof for the appointment of former MP Sajin Vass as a monitoring MP, then Prof. Peiris has to take the responsibility for these spending,” he noted. He added that an executive class Benz car and a Sri Lanka Air Force ‘Helitour’ helicopter had been provided to Paisley for his transport within the country. Foreign Affairs Minister Thilak Marapone, replying to the motion, expressed his shock over the MP’s latest revelations, adding that the matter is a serious fraud that must be well investigated by the CID or the FCID. “Now it is clear that Ian Paisley’s issue runs deeper than spending a colossal sum of public money for his luxury holidays in Sri Lanka. It connects to a more serious fraud. I was not aware of the Nigerian business deal exposed by the MP. I will ask my Ministry Secretary to study this matter in depth,” he told the House. MP Rathnayake in his motion, urged the Government to come up with specific guidelines or issue a circular detailing the procedure that should be followed when the Foreign Ministry organizes ceremonies in foreign countries and when foreign delegates are invited to the country. “Specifically note the punishments when these guidelines are breached,” he added. He also urged the Government to furnish a report to Parliament within three months on the expenses borne by the Foreign Ministry for former First Lady Shiranthi Rajapaksa’s Paris visit, Birthday party of former Minister Rohitha Bogollagama’s daughter and Sajin Vass Gunawardena’s involvement in Ian Paisley’s visit after proper investigations by the CID or any other responsible authority. JVP MP Bimal Rathnayake called on the Auditor General to hold a special audit inquiry and reveal as to how much of public money is being spent for a day’s sitting of Parliament. The MP, participating in the Parliamentary debate yesterday to raise the salary and allowances of Auditor General Gamini Wijesinghe, expressed his disappointment that Parliament sittings came to an abrupt end on Thursday, within 14 minutes after commencement. “The media had been reporting various figures on the cost of a day’s Parliamentary sitting. A large number of Police personnel and officials are on duty on the days that Parliament conducts sittings. I urge the Auditor General to hold a special audit inquiry and tell the country as to how much we spend for a Parliament sitting day,” he noted. The MP also stressed that the Audit Commission must be empowered to hold comprehensive audit inquiries prior to the commencement of large scale projects. “Conducting post mortem examinations on corruption and fraud once those had happened, is of little help in a country such as Sri Lanka, as there are hardly any instances where we have recovered that loss. I propose that the Audit Commission must be given powers to audit Cabinet approved projects if the project value exceeds Rs 50 million. The Auditor General could study the Project Concept and plan and determine its value for money,” he suggested. He also pointed out that wide discrepancies are there when evaluating Budget proposals with what had actually happened on the ground. “The Public Finance Committee would expose more details in time to come. The Government promised to set up the Budget Office, but it had still not become a reality,” he added. The MP also urged the Auditor General to hold special audit inquiries on expenses made to national ceremonies held on a grand scale. “I propose that he select 10 - 15 such massive national ceremonies in the last 10 years and reveal the public as to how much of public money had been spent on them. Such expenditure are a colossal waste,” he said, observing that four national ceremonies had been held so far to open various stages of the Moragahakanda Project. He also pointed out that Rs 4 billion has been allocated as promotional expenses for the Gamperaliya project. A Parliament Select Committee headed by Speaker Karu Jayasuriya, was appointed yesterday to recommend measures to improve communal and religious harmony in Sri Lanka. The Committee includes, Deputy Speaker J.M. Ananda Kumarasiri, John Amaratunge, Gamini Jayawickreme Perera, Rauf Hakeem, Dr. Rajitha Senaratne, Rishad Bathiudeen, Dr. Wijeyadasa Rajapaksha, Gayantha Karunatilake, Thalatha Athukorale, D.M. Swaminathan, Abdul Haleem, Mano Ganesan, A.H.M. Fowzie, A.S. Radhakrishnan, Ruwan Wijewardena, Sayed Ali Zahir Moulana, Opposition Leader R. Sampanthan, Douglas Devananda, Susil Premajayantha, Dinesh Gunawardena, C.B. Rathnayake, Wijitha Herath and M.A. Sumanthiran. The Committee is expected to submit its report containing recommendations within six months. The Committee is to be set up to prevent repetition of misunderstanding among communities as experienced in Kandy in March, Ampara in February this year and Beruwala in June 2014. The Committee has been asked to provide recommendations to prevent the propagation of defamatory opinion and opinion that undermine national harmony. It will discuss and decide on the suitability of including hate speech as a crime in the Penal Code. It will look into the possibilities of categorizing the school system on a non-racial or non-religious basis and introducing a special subject into the school curriculum in order to create national reconciliation. The Committee will seek the contributions of academics, intellectuals and persons who have won the recognition and respect of the public for this national and religious reconciliation programme. It will propose a mechanism to seek the contribution of the Security Forces, the Police and religious leaders for the programme. It will formulate norms that should be followed when expressing views via social websites and various media networks, including the print and electronic media. It will look into banning the publishing of news which disturbs national amity and how to formulate laws in that regard. The Committee will also be tasked with making recommendations to resolve issues related to the national language policy. It will also examine and recommend changes to the Police Ordinance and policing in general to ensure better public confidence in the Sri Lanka Police Department. The Government has made a supplementary allocation of Rs 500 million on August 8, to provide for the implementation of the Gamperaliya Rapid Rural Development Programme 2018-2019. The supplementary allocation had been made from the National Policies and Economic Affairs Ministry. The Government presented a Note on the Supplementary Allocations totalling Rs 12.4 billion, made to cover various additional expenses from July 1 to August 15, in Parliament yesterday. It also included an additional allocation of Rs 1 million provided to meet the expenditure pertaining to the Gamperaliya inauguration ceremony in the Kurunegala District. That allocation had been made from the Finance and Mass Media Ministry. When question by JVP MP Bimal Rathnayake on this expenditure, Leader of the House and Minister Lakshman Kiriella clarified that Minister Mangala Samaraweera had stated that 75 percent of the money spent on Gamperaliya was from the private sector. The Government had also reallocated Rs 11.4 billion from the Agriculture Ministry to meet the expenditure of fertilizer subsidy. The Government had also made an additional allocation of Rs 257 million for the Moragahakanda and Kaluganga Reservoir Project (Government of Sri Lanka - China, Kuwait, and Saudi-Foreign Funds). The Note on Supplementary Allocations was presented by Chief Government Whip and Minister Gayantha Karunathilake. The construction of the Wind Shield to the Norochcholai Lakvijaya Power Plant would be completed by July 2019, State Minister of Power and Renewable Energy Ajith P. Perera said yesterday. He also said that a project to create concrete blocks from coal dust disseminated from the power plant would be on foot by the end of September 2018. The State Minister also said that a compensation of Rs. 12.7 MN had been distributed among the farmers who were affected by the coal dust and ash accumulated by the power plant. He also expressed his confidence that the power plant would soon receive a renewal of its Environmental Protection License, as all conditions have been duly completed. State Minister Perera made these observations in answer to a question raised by MP Hector Appuhamy, with regard to the wind shield for the Norochcholai Power Plant and the accumulation of ash in the plant premises. “The construction of the wind shield began in February 2018 as a joint venture between Laughs Holding Limited and Sanken Groups. Rs. 480 MN and US$ 1.4 MN had been allocated for the project separately. The wall is 1,600m long and 15m high. The base of the wall is 5m wide,” State Minister Perera pointed out. The State Minister also pointed out that possibilities are being explored to utilize coal dust in road construction activities as well. MP Appuhamy informed the State Minister that there had been several mishaps when granting compensation to the farmers in the affected area. He also asked if a factory creating concrete blocks would be established within the power plant and also questioned as to how the factory would access water for its work. In answer, Perera observed that such a factory would be established within the plant premises. “Initially, this factory was to be set up in Mundalama. The Auditor General’s Department ought to recruit disciplinary experts to avoid any error in conclusions and to strengthen the Audit Service in the country, State Minister Ajith P. Perera said yesterday. Minister Perera made this observation, opening the debate on the determination moved by the Leader of the House and Minister Lakshman Kiriella, to increase the salary and allowances paid to the Auditor General. The State Minister pointed out that 98% of the officers attached to the Auditor General’s Department are qualified Accountants. “However, there are various aspects to auditing. For example, if you take value for money auditing, it evaluates performances on selected criteria. Parliament unanimously approved a Determination under the Constitution presented by the Government to increase the salary and allowances paid to Auditor General H. M. Gamini Wijesinghe yesterday. The determination was moved by Leader of the House and Minister Lakshman Kiriella. The new determination adopted yesterday, placed AG Wijesinghe on the 08th Salary Step of the SL- 4 Salary Scale of the Public Administration Circular No. 06/2006, with effect from November 27, 2015. From January 1, 2016, the salary would be converted in line with the Public Administration Circular No. 03/2016. According to the determination, AG Wijesinghe would also be entitled to a special monthly allowance of Rs. 50,000. This allowance paid as personal to him, is in addition to salaries and other allowances entitled to the post of Auditor General. It is paid by paying special attention to educational qualifications, service experience as well as the salary of previous service of Gamini Wijesinghe. The increase of salary and allowances of AG Wijesinghe, had been delayed for three years. Cabinet had approved the revisions on March 14 last year. This proposal raises the AG’s salary and allowances to a level higher than what was proposed in the withdrawn motion. A Cabinet Paper had been presented to hand over the issuance of Motor Vehicle Examiner’s report to a joint venture by the Sri Lanka Transport Board (SLTB) and the Automobile Association of Ceylon (AAC), Transport and Civil Aviation Deputy Minister Asoka Abeysinghe, said. He was responding to a question raised by JVP MP Sunil Handunnetti, who queried as to whether there is a move to privatize motor vehicle examinations carried out by the Motor Traffic Department. The Deputy Minister said a pilot project in this regard would be initiated between the SLTB and the AAC, adding that AAC would be given a 25 percent share of the joint venture. He said the Government came up with this proposal to minimize irregularities in issuing motor vehicle examiner’s reports. He said initially AAC would only be given a 5 percent stake. “I had discussens with the company and they pointed out the difficulties in handling this work with the marginal turn over received from it,” the Deputy Minister said. The Deputy Minister further said that more motor vehicle examiners would be recruited shortly. MP Handunnetti however questioned the rationale of privatizing the work of Motor Traffic Department without addressing the shortcomings and loopholes in the process that have led to corruption and irregularities.